One thing and reason why I love Sweden is its amazing nature which always beautiful it doesn’t matter what is the season. This summer, I have been blessed to discover more what nature here could offer us. Berries!!!! 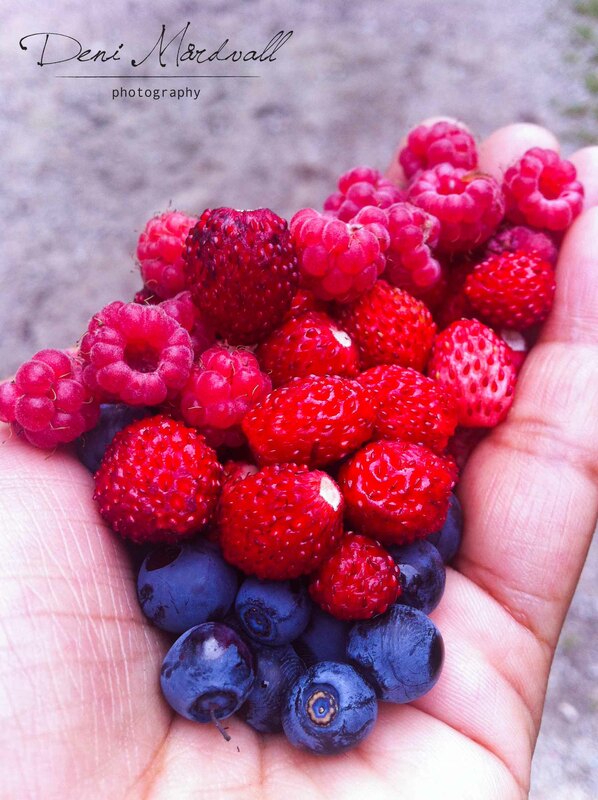 I love berries and to be able to pick wild berries in the woods is an fantastic experience that makes you grateful for the chance. Yes, this post will be about berries that I picked in one of the forest in Adelsö, a small island just a bit outside Stockholm. 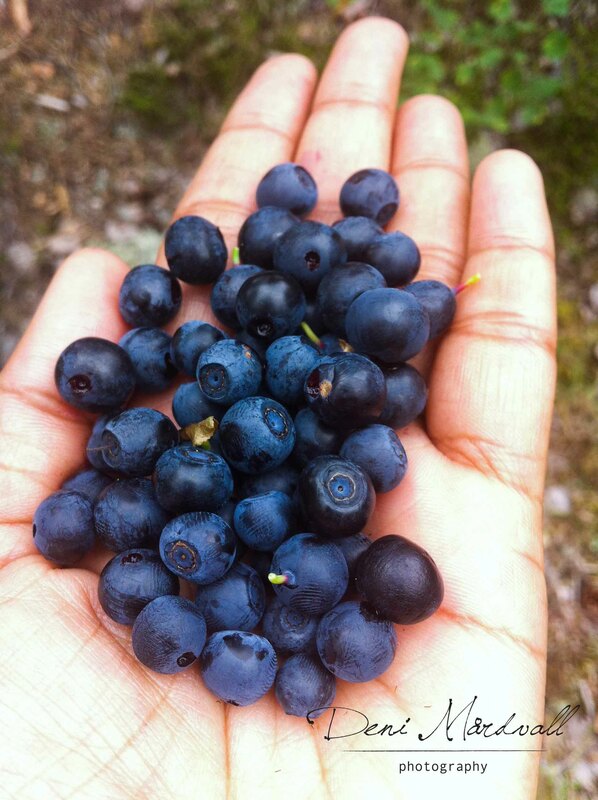 As you read the title, yup… I had three wild berries in my hand! First will be blueberries, yey…!!! This was not my first blueberries in my hand. I was picking blueberries with Mom in one of the forests in North of Sweden. Usually, I buy blueberries in one of the shop and of course the price is quite expensive -one reason that I didn’t eat so much of it- but again, now I can get it for free so I can eat them as much as I want 😀 the other thing one should know is picking berries is a very fun activity especially you have friends to talk to while you hands busy searching the biggest blueberry you could find haha! I don’t remember how many times I needed to empty my hands to pick up another blueberries those day. I didn’t bring any bucket or plastic bag to take them home so the only was to eat them as soon as my hand got full. In my opinion, blueberries that you pick by yourself is awaaaaaaaaaaaaaayyy much more delicious than the one that you buy in food store. In other word, after a hard work to pick them one by one -the weird way of mine to pick them because I don’t want to destroy them by picking them using a kind of tool- I can eat them with satisfaction and enjoy them even more 🙂 As you know, something that you got with hard work will stay longer than the one that you get instant 😀 Don’t you agree with me? My second favorite berry is raspberry or in Swedish this fruit is called ‘Hallon’ 🙂 Unfortunately I can not get enough with these sweet berries. To find it and able to pick them for free is like finding a diamond for me, red diamond to be precise 😀 haha! 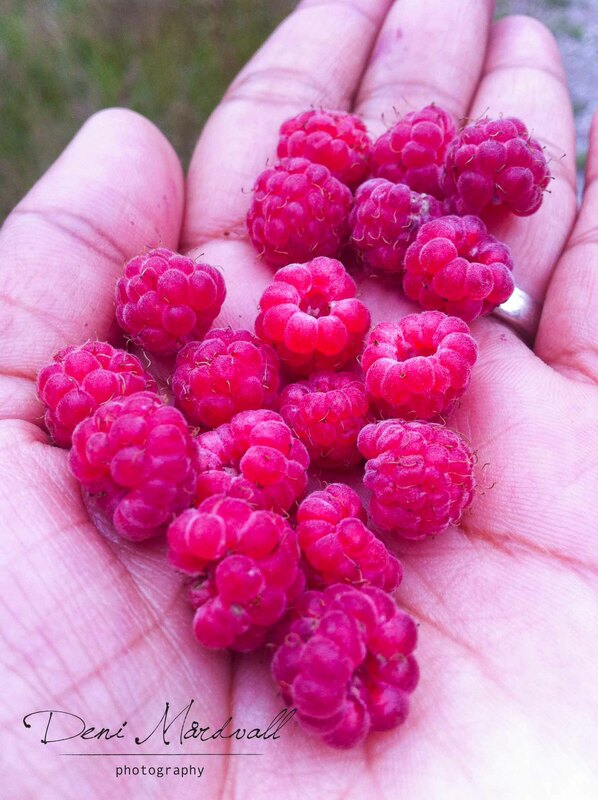 As it happened with the blueberries, this was not the only raspberries that I picked that day. I had loads of them, many hands full of it and you know what… in Adelsö, there is still thousand raspberry bushes for us to pick 😛 I would come back there and next time will bring my buckets with me. 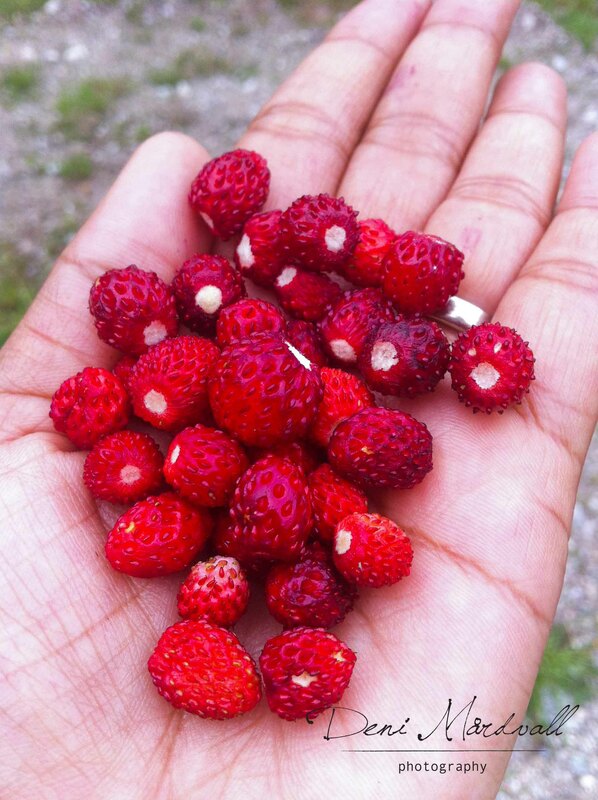 They are a bit smaller than the one that usually you find in one of garden in many houses in Sweden but the taste is more delicious or maybe the same 😀 For me, the taste is not important, the most important one is chances that I have to find this gems in forest anywhere in Sweden. I’ve been thinking to have raspberry bush in our new house but again… will make priority list first. If I can have it in my garden, the forests will provide it for me anyway hehehe and for free haha!! I bet my sister, Komang will be so jealous if she see these photos. Hopefully she will be able to pick them by herself once she is here to stay with us in the future. There will be a precious moments to be able to enjoy these delicious fruits with your own sibling in the nature, can’t wait for that moment to come!!! This entry was posted in Being 35, cerita harian, delights, every day, nature, photography, snack, Stockholm, summer and tagged fruits, nature, photography, snack, stockholm, summer. Bookmark the permalink.